Munroe Island is one of the best backwater locations of Kollam. If you are a backwater lover, this cluster of islets at the meeting point of Ashtamudi Lake and Kallada River is something that is more than bargained for. Away from the mainstream, yet close to heart, Munroe has some magic up the sleeve. 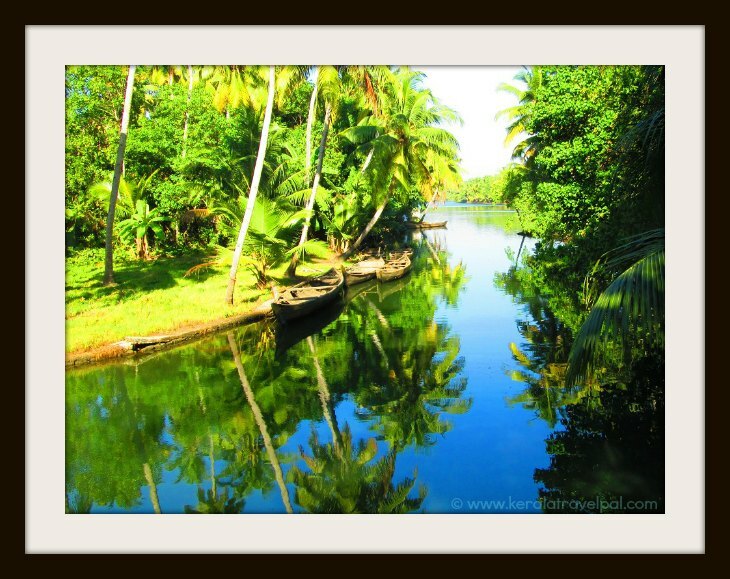 The flow of life here is as calm as the river that gracefully settles into the wider backwaters. So if you are looking for adventure holidays or fast paced fun, please allow me to be forthright - this may not be the type of place that you are looking for. For others there are a few reasons to head to Munroe. There is the wider water body of Ashtamudi Lake. If that is your pick, then there are house boats ready to take you all around. What makes Munroe Island tick is the myriad of canals, intricately traversing a lush landscape of about 13 sq kms. Some of these canals are so tiny that they can just fit a canoe in. A canoe ride through these canals is quite an experience, especially when we have to fend off small leafy branches that are just about to touch the face. Canoes and boats are ready to hire. DTPC as well as private operators conduct boat trips. We all know that the backwaters put us on a relaxing mode. Local life also has some nice vibes. Locals, while friendly, get on their lives with their traditional down to earth life style. Lives revolve around coir weaving, sand mining and fishing. In Munroe waters you will be in the company of birds – kingfishers and the like. They are in plenty. Fortunately, the serenity of the place is not so far threatened by large scale developments, hotels and resorts included. The ideal and available choice is home stays. Also there are house boats which service overnight guests. 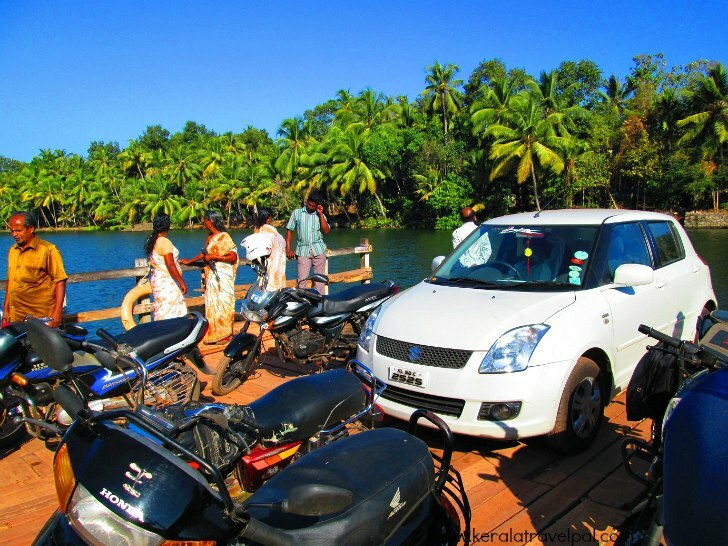 The Island is about 25 kms from Kollam town. Road travel is the usual way to travel, although you will have to take a ferry to get to the island. It takes about an hour or so to reach here from Kollam town by car. The major regional city is Trivandrum, about 70 kms south of Kollam. Trivandrum has an International Airport, a major rail terminus and several bus stations. Food Options: Several restaurants in Kollam town. Accommodation Options: A range of Hotels and lodges in Kollam town. Best time to visit: October to May. Can be visited throughout the year, although monsoon (Jun – Sep) can spoil some fun. Nearby Attractions : Kollam town (shopping, food & fun), Kollam Police Museum, Thenmala, Chavara, Sastham Kotta, Ochira, Thangasseri Beach, M.G Beach, Ashramam Picnic Village, Thirumullavaram beach, Jatayu Rock, Kottukal Rock Cut Cave Temple, Palaruvi falls, Varkala beach, Shendurni Wildlife Sanctuary and Matha Amrithanandamayi Ashram.